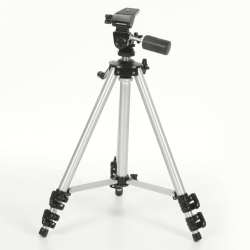 The Professional Tripod is made of robust materials and is of high-quality workmanship. It provides a high load capacity and stability. The center column with crank und precise fine-cut thread is very exact in adjustment. 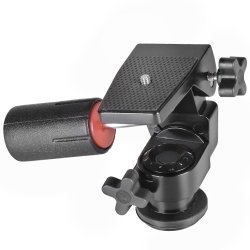 With the quick release fasteners you can adjust the tripod due to your requirements. The foam rubber provides secure stability during carrying. The FT-008H 3D Head is ideal for beginners and hobby filmers. Thanks to its panorama, tilting and lateral tilting movements, it provides precision and flexibility, which you need for your shootings. That means, that you can change between landscape and portrait format within seconds. You will be supported by one huge swivel arm, which ensures precise control with less effort. The Panhead is equipped with a 1/4 inch camera connection as well as a 1/4 inch and 3/8 inch tripod connection. The load capacity of the Panhead is approx. 4,5kg.